A single hook position low cost forklift jib generally tailor made to suit handling of a specific product. Our Econo forklift jib is ideal for carrying out tasks such as engine removal, tool changing etc. 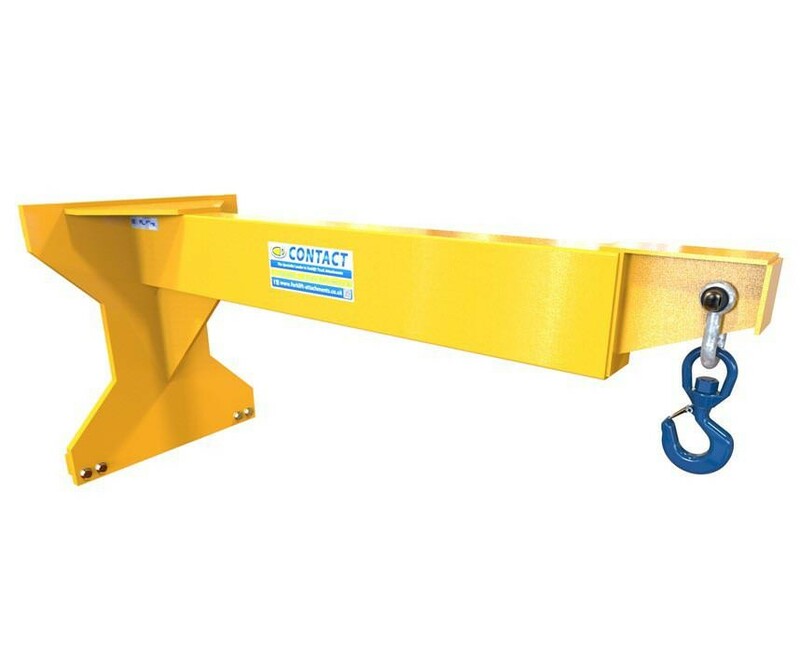 With a fixed beam length of 1250mm and mounted directly to the carriage of the forklift truck, our carriage mounted jibs provide the solution to converting your lift truck into a dedicated lifting crane. 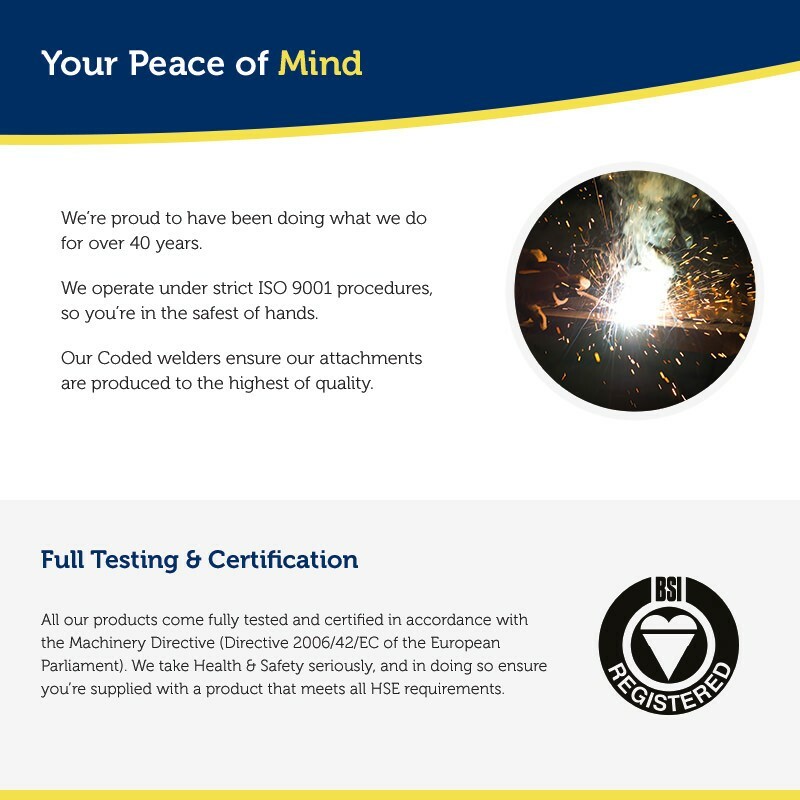 With a wide back plate to provide stability and help reduce load swing, our Econo forklift jib is the ideal choice for carrying out a specific handling requirement, and like all our forklift truck attachments, will come fully tested and certified to comply with the latest Health & Safety Regulations.